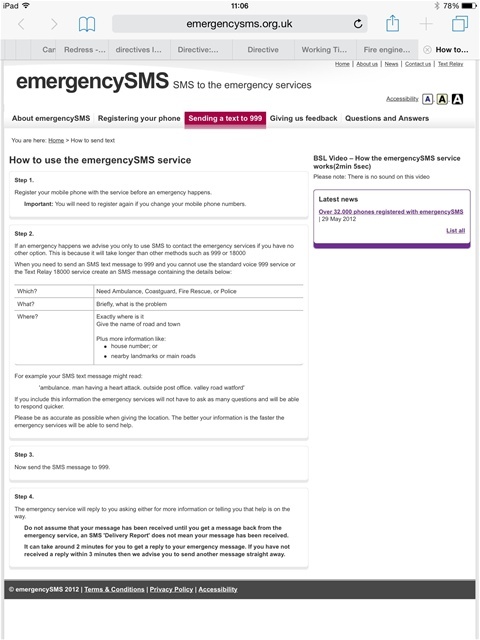 The emergencySMS service is an add on to the existing 999 and 18000 services that are available in the UK. Your SMS text message will be connected to 999 through the Text Relay 18000 service. A relay assistant will speak your SMS message to the 999 advisor, their reply will be sent back to you as an SMS message. If you send another SMS text message the relay assistant will read it to the 999 advisor and send their reply back to you.